Quick overview Offers the first overarching history of the humanities from Antiquity to the present. Many histories of science have been written, but A New History of the Humanities offers the first overarching history of the humanities from Antiquity to the present. There are already historical studies of musicology, logic, art history, linguistics, and historiography, but this volume gathers these, and many other humanities disciplines, into a single coherent account. Its central theme is the way in which scholars throughout the ages and in virtually all civilizations have sought to identify patterns in texts, art, music, languages, literature, and the past. What rules can we apply if we wish to determine whether a tale about the past is trustworthy? By what criteria are we to distinguish consonant from dissonant musical intervals? What rules jointly describe all possible grammatical sentences in a language? How can modern digital methods enhance pattern-seeking in the humanities? 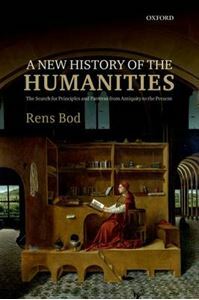 Rens Bod contends that the hallowed opposition between the sciences (mathematical, experimental, dominated by universal laws) and the humanities (allegedly concerned with unique events and hermeneutic methods) is a mistake born of a myopic failure to appreciate the pattern-seeking that lies at the heart of this inquiry. A New History of the Humanities amounts to a persuasive plea to give Panini, Valla, Bopp, and countless other often overlooked intellectual giants their rightful place next to the likes of Galileo, Newton, and Einstein.